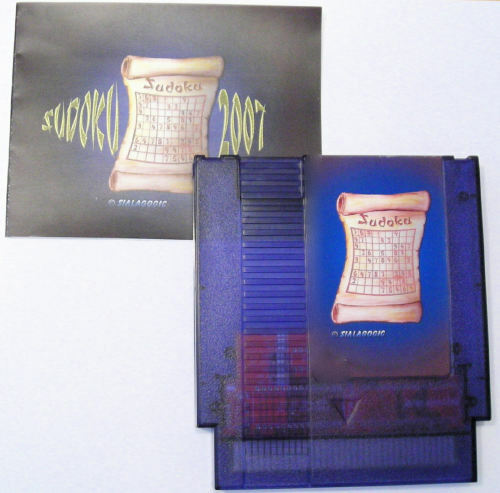 Sudoku 2007 has been discontinued, will not be available here again! 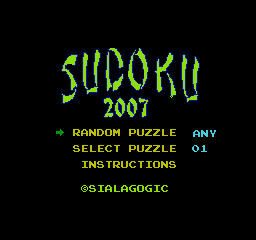 From creator Al Bailey, Sudoku 2007 is a version of the classic Sudoku game. 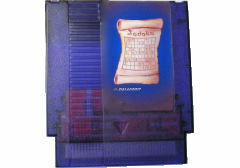 Start by selecting a difficulty level or puzzle number. Easy to use controls let you quickly enter numbers into the grid. When you think you are done hit start to evaluate. If everything is correct you move on, but if there is an error you get a time penalty! 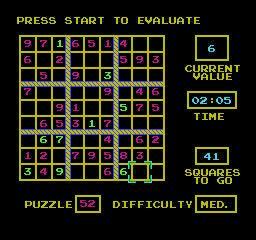 Advancements from Sudoku 1.0 include 100 new randomly generated levels and classic intro/paused music. 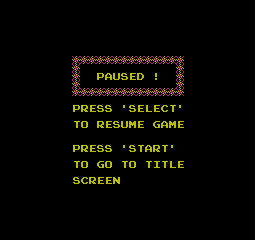 PAL systems will also show the timer correctly instead of running slow.